Check your mailbox! We recently mailed an IRS Form 1095-C to participants in the state’s employee health plan. If you got one, you may be asking what to do with it. The Form 1095-C is the W-2 of health insurance. It provides information about your employer’s offer of health insurance coverage and the months in which you and, if applicable, your dependents, had coverage. Unlike the W-2, you do not include your 1095-C (or 1095-B) with your tax return. Keep it with your other important tax documents. Employers are required to send the IRS a copy of each 1095 they gave their employees. The IRS will use these forms to identify the months enrollees had coverage. Was a retiree under the age of 65 or other non-employee who received coverage through the state (even if you paid your premium to one of the three plan administrators including Blue Cross Blue Shield, HealthPartners, or PreferredOne). Retirees over age 65 will not receive a form because the coverage received through the state is not primary coverage. We did not send a separate form to anyone else on your coverage, including an adult child, your spouse, or former spouse. Please provide a copy to those who may need it. The Diabetes Medication Therapy Management (MTM) program provides health improvement and financial benefits. We expanded the program to include dependents with diabetes who are over the age of 18. Now both employees and dependents enrolled in the Minnesota Advantage Health Plan have additional support to manage their condition. Dependents can visit the MTM Dependent Program page for more information. Their copays are waived on formulary diabetic supplies and medications. Employees with diabetes not previously enrolled can start now. Visit the MTM Employee Program page for more details. The program encourages and rewards lifestyle changes. The MTM program is a great way to help keep your diabetes in check while protecting your pocketbook. Check out the FSA Store. It is a website that only sells FSA-eligible items (some require a doctor’s prescription prior to purchase and are noted on the site). Use the Benny Card to pay for your items and avoid the need to save receipts. Use this coupon to make shopping even easier (one per customer). 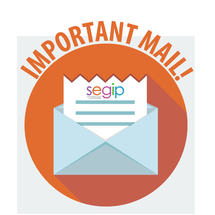 Multiple times a year, SEGIP sends out important communications through the postal service. Some of our letters and packets give you 30 days to reply with a document or a payment. Late submissions or payments can result in the loss of your coverage. Please open your mail on a timely basis. The Benny Card does not eliminate the IRS requirement to verify that all expenses are eligible. Benny is not always able to determine this automatically. 87% of Benny Card charges are automatically approved without a request for documentation. Most prescription copays and medical charges are approved at the point of service because they either match the Benefits Schedule copayments or match through a transaction match system. Dental and vision charges often require documentation because the costs vary and these providers can offer ineligible services such as cosmetic treatments and product warranties. For charges not automatically approved, you will be asked for documentation of the charge. Due to the system’s attempts at auto-matching a transaction, this request may happen a month or two after the date of the transaction. Keep your receipts so that you can provide documentation when requested by 121 Benefits. Don’t ignore the requests for documentation. Know that a request for documentation does not necessarily mean the charge is ineligible. It means that Benny is not able to determine if the charge is eligible. Submit documentation on time. Benny will be temporarily suspended if documentation is late and will remain inactive until documentation or repayment is provided. Not submitting documentation will be considered an overpayment from your account and the amount will either be deducted from your state tax refund or included as taxable income on your W-2 form. It’s easy to submit documentation. You can do it online, or via the U.S. mail, fax, or smart phone. Find more information on debit card transactions, acceptable documentation, and the FSA Store on 121 Benefits’ website. 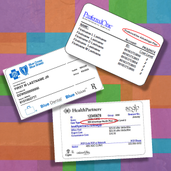 Your medical and dental plan membership cards provide you much more than clinic and co-pay information. They are also a pathway to saving. Find discounts on health and well-being products and services on your plan’s website. Not finding what you need online? Give your plan a call. They’ll be happy to provide details about their member discount programs. These discounts may change during the year, so be sure to check with your plan often. Don’t have your member ID card handy? The SEGIP website has quick links to plans and other resources. SEGIP will continue to offer the Prevent® health benefit a breakthrough program that helps reduce your risk of developing type 2 diabetes. Prevent gives you the support you’ll need to lose weight, keep it off, and make lasting lifestyle change. Over 5,000 of your colleagues are already onboard. They are seeing significant success at reducing their risk for developing type 2 diabetes. Participants have lost over 16 tons! Get started today. Take a one-minute health test to find out if you’re eligible. This program is offered at no cost to you! This newletter is for informational purposes only and is not a plan document nor is it legal, medical or retirement advice. Consult a qulified professional before making a decision.